Dan Quinn was hired in Seattle as team's defensive coordinator one year ago. The Cleveland Browns have their first head coaching candidate set to replace Rob Chudzinski. The team has reached out to Seahawks defensive coordinator Dan Quinn, a source confirmed to FOXSports.com. NFL Media’s Ian Rapoport had the news first. An interview hasn’t been scheduled at this time. 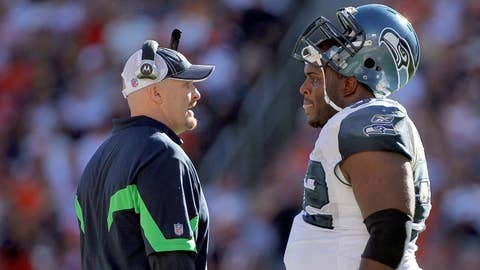 Quinn, 43, was hired in Seattle to replace Gus Bradley last season after he took the Jaguars head coaching position. The Seahawks defense has allowed the least amount of points in the league this season. Quinn began his coaching career at William & Mary in 1994 and has since had notable stops in San Francisco, Miami and at the University of Florida. Another candidate receiving interest is Broncos offensive coordinator Adam Gase, which John Fox confirmed on Monday. Patriots offensive coordinator Josh McDaniels is also garnering some attention, per NFL Media.